Heat exhaustion is when the body overheats when you are too active in hot temperatures. Heat stroke is a more severe illness that can be life-threatening. Young children and older adults are at increased risk for heat exhaustion. Your heart activity may be measured. 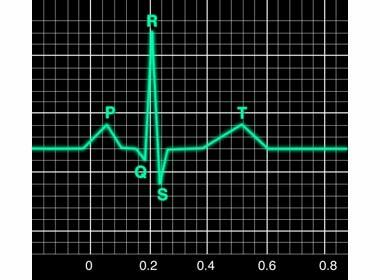 This can be done with an ECG . Giving adequate fluids—it is best to give fluids that contain both salt and sugar. If the person isn't able to drink, it may be necessary to give fluids by IV. Moving the person to a cool, shady area. Actively cooling the person—the most effective way is called evaporative cooling. In evaporative cooling, the person is sponged with cool water or sprayed with cool mist, and fans are used to blow air onto the person. Giving medications—These may be necessary if the person is having seizures or uncontrollable shivering. Careful monitoring—People who have undergone heat stroke need regular and careful monitoring of body temperature, heart rate, blood pressure, and breathing rate. Blood tests will be repeated at regular intervals to monitor how the body's organs are responding to the shock of heat stroke. Avoid prolonged exposure to high temperatures. If you have to work or exercise under hot conditions, drink lots of fluids (preferably sports drinks, which contain both salt and sugar), and take frequent breaks in the shade. If you have a risk factor for heat exhaustion or heat stroke, be careful participating in activities in hot weather. Take regular rests and drink lots of fluids. During heat waves, try to spend time indoors with air conditioning or go to an air conditioned shelter. This is especially important for older adults. Heat exhaustion and heatstroke. Family Doctor—American Academy of Family Physicians website. Available at: https://familydoctor.org/condition/heat-exhaustion-heatstroke. Updated February 2017. Accessed September 29, 2017. Heat-related illnesses. EBSCO DynaMed Plus website. Available at: http://www.dynamed.com/topics/dmp~AN~T114802/Heat-related-illnesses . Updated June 29, 2016. Accessed September 28, 2016.